One of my favourite days is around the corner, that day is Mothers Day. Mothers day is special to me as not only do I get to spend time with my mum and have a day with her but I also get to spend a day with Maxwell which makes the day even more so special to me. 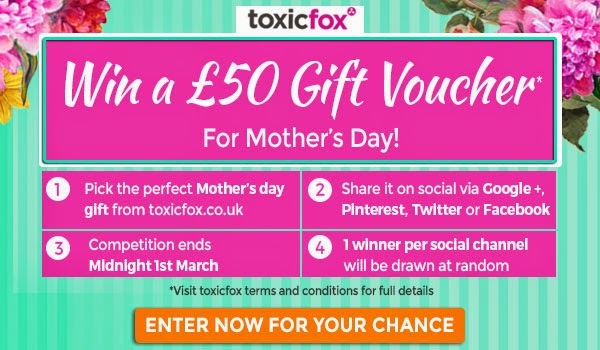 As many of my readers know, I am a huge fan of entering competitions and I was excited to learn recently that the lovely people at Toxic Fox have a fab Mothers Day competition running. Their competition runs from February 18th to March 1st and there are 4 chances to win a £50 voucher to spend on their Mother’s Day collection. Their are 4 chances to win in total - one per social network Google+, Twitter, Facebook and Pinterest. To enter Toxic Fox's competition all you need to do is go to the http://www.toxicfox.co.uk/gifts-occasion/mothers-day-gifts browse around the fabulous Mother’s Day Gifts and Ideas sections and pick your favourite present. Once you have taken the time to browse, you need to share your favourite present on the social media channel of choice. To ensure Toxic Fox can see your entry please use the hashtag: #toxicfox when submitting your entry into this competition. For full terms and conditions please visit http://www.toxicfox.co.uk/terms-and-conditions. 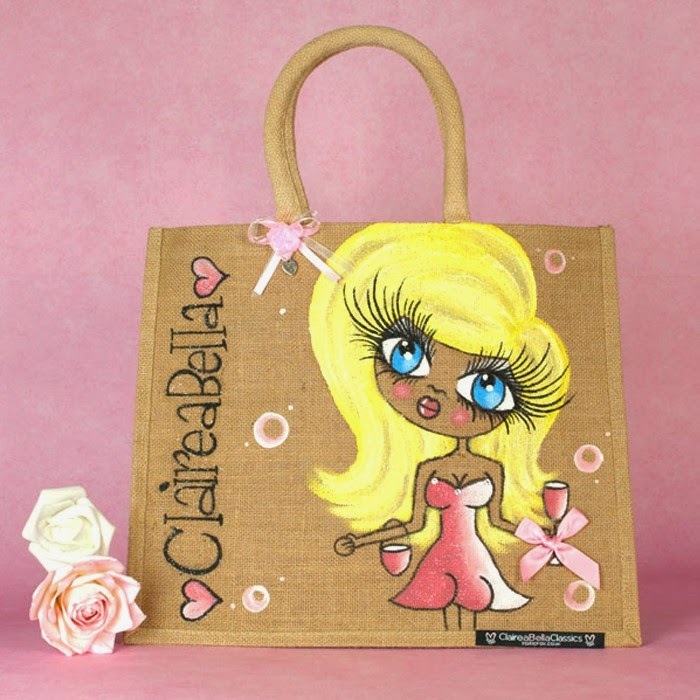 Personally, I have my beady little eye on this ClaireaBella Large Jute Bag. You are able to see a example of my competition entry here. If you would like to place a order on Toxic Fox why not use their 10% code which is: TFMother. This will give you 10% off all their Mothers Day gifts. The code is valid until the 15th March, cannot be used in conjunction with any other offer. Toxic Fox have provided me with a gift as a thank you for sharing this competition.